Wrinkles, loose skin, and other signs of aging can cause many people to look older than they feel. 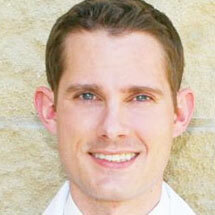 Dr. Mahlon Kerr is an Austin plastic surgeon who specializes in plastic surgery. He is board certified and has extensive experience in face lift and neck lift surgery. They employ modern surgical techniques to create a younger appearance while maintaining your natural beauty. A face lift will restore firmness to the cheeks, soften wrinkles and creases, sculpt the jaw and chin, and smooth out banding on the neck. Dr. Kerr at Synergy Plastic Surgery understands that natural results are a must. Some patients combine their face lift with brow and eyelid surgery or rhinoplasty for more dramatic improvements. If you do not have significant signs of aging, you may be a candidate for a non-invasive treatment such as BOTOX® Cosmetic or an injectable filler such as Restylane or Juvederm.